The SIAM Activity Group on Algebraic Geometry (SI(AG)<sup>2</sup>) Early Career Prize, established in 2016, is awarded to an outstanding early career researcher in the field of algebraic geometry and its applications, for distinguished contributions to the field in the three calendar years prior to the year of the award. The SIAM Activity Group on Algebraic Geometry (SI(AG)<sup>2</sup>) Early Career Prize, established in 2016, is awarded to an outstanding early career researcher in the field of algebraic geometry and its applications, for distinguished contributions to the field in the three calendar years prior to the year of the award. The term "algebraic geometry" is interpreted broadly in the spirit of the Rules of Procedure of SI(AG)<sup>2</sup>, and includes among others algebraic geometry, commutative algebra, noncommutative algebra, symbolic and numeric computation, algebraic and geometric combinatorics, representation theory, and algebraic topology; as well as their applications in areas such as biology, coding theory, cryptography, computer graphics, quantum computing, control theory, geometric design, complexity theory, machine learning, optimization, robotics, computational geometry, and statistics. The term "algebraic geometry" is interpreted broadly in the spirit of the Rules of Procedure of SI(AG)<sup>2</sup>, and includes among others algebraic geometry, commutative algebra, noncommutative algebra, symbolic and numeric computation, algebraic and geometric combinatorics, representation theory, and algebraic topology; as well as their applications in areas such as biology, coding theory, cryptography, computer graphics, quantum computing, control theory, geometric design, complexity theory, machine learning, optimization, robotics, computational geometry, and statistics. - <li> 2013-2017+ PhD and 2014-16 paper. + <li> 2015-2019+ PhD and 2016-18 paper. The Prize Committee will solicit nominations for the prize from the general membership of the SI(AG)<sup>2</sup>, using SIAM office resources as needed. The Prize Committee will solicit nominations for the prize from the general membership of the SI(AG)<sup>2</sup>, using SIAM office resources as needed. If a committee member accepts nomination for the award, the SIAG officers will appoint a replacement upon notification by the committee chair and with the approval of the SIAM VP. If a committee member accepts nomination for the award, the SIAG officers will appoint a replacement upon notification by the committee chair and with the approval of the SIAM VP. + <li> the name of the computational algebraic geometry program used to compute the model, [http://bertinireal.com Bertini_real]. + As part of the award, the recipient will be invited to give a talk at the conference. SIAM will make travel funds available to reimburse the recipient for reasonable travel expenses incurred in attending the award ceremony and giving the talk. The prize is awarded every second year at the biennial SIAM Conference on Applied Algebraic Geometry. The prize is awarded every second year at the biennial SIAM Conference on Applied Algebraic Geometry. - Since there is no cash award and minimal expenses are associated with the prize, there will be no prize fund. + Since there is no cash award, there will be no prize fund. The SI(AG)<sup>2</sup> Chair and the Chair of the Prize Committee will announce the award at the SIAM Conference on Applied Algebraic Geometry and present the award to the recipient. An announcement of the award will appear in SIAM News, on the SI(AG)<sup>2</sup> website, and in the SI(AG)<sup>2</sup> Newsletter. 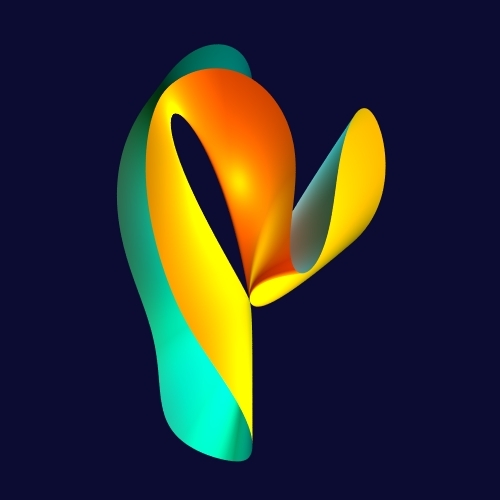 The SI(AG)<sup>2</sup> Chair and the Chair of the Prize Committee will announce the award at the SIAM Conference on Applied Algebraic Geometry and present the award to the recipient. An announcement of the award will appear in SIAM News, on the SI(AG)<sup>2</sup> website, and in the SI(AG)<sup>2</sup> Newsletter. The SIAM Activity Group on Algebraic Geometry (SI(AG)2) Early Career Prize, established in 2016, is awarded to an outstanding early career researcher in the field of algebraic geometry and its applications, for distinguished contributions to the field in the three calendar years prior to the year of the award. The nominee's work must be a significant research contribution to algebraic geometry and its applications. At least one of the papers containing this work must be published in English in a peer-reviewed journal or conference proceedings bearing a publication date within the three calendar years prior to the year of the award. Moreover, either the recipient must be a graduate student or the paper's publication date must be no more than three (3) calendar years later than the year in which the author received the PhD or equivalent degree. The committee may consider exceptions to the three-year rule, for career interruptions or delays occurring, e.g., for child bearing, child rearing, elder care, or backlog in journal publication. The award can be received only once in a lifetime. The term "algebraic geometry" is interpreted broadly in the spirit of the Rules of Procedure of SI(AG)2, and includes among others algebraic geometry, commutative algebra, noncommutative algebra, symbolic and numeric computation, algebraic and geometric combinatorics, representation theory, and algebraic topology; as well as their applications in areas such as biology, coding theory, cryptography, computer graphics, quantum computing, control theory, geometric design, complexity theory, machine learning, optimization, robotics, computational geometry, and statistics. 2015-2019+ PhD and 2016-18 paper. The recipient will be selected by the SI(AG)2 Prize Committee on the Early Career Prize. This committee will consist of a panel of at least five SI(AG)2 members. The SI(AG)2 Chair, in consultation with the other officers, will form a list of at least five SI(AG)2 members to serve on the prize selection committee, will designate the chair, and will submit the list to the SIAM Vice President at Large (SIAM VP) for approval prior to inviting the committee members to serve. The SI(AG)2 officers will seek to ensure a diverse composition of the prize committee in research area, gender, geography, employment sector (industry, national laboratories, universities), and under-represented groups. The Prize Committee will solicit nominations for the prize from the general membership of the SI(AG)2, using SIAM office resources as needed. If a committee member accepts nomination for the award, the SIAG officers will appoint a replacement upon notification by the committee chair and with the approval of the SIAM VP. The Prize Committee will notify the SIAM VP of its selection at least six months prior to the award date. The notification must be accompanied by a written justification and a citation not exceeding 25 words that can be used for a certificate to be read at award time. The SIAM VP will accept or reject the committee's recommendation within one month of notification. If the recommendation is accepted, the award presentation will be made according to the procedure below. If the recommendation is not accepted, the SIAM VP and the Prize Committee will select an acceptable individual at least four months prior to the award date. The Selection Committee has the authority to choose to abstain from giving the award if there is not an acceptable individual, i.e., not enough nominations. If the award is not given, a new Selection Committee will be selected for the next award cycle. the name of the computational algebraic geometry program used to compute the model, Bertini_real. As part of the award, the recipient will be invited to give a talk at the conference. SIAM will make travel funds available to reimburse the recipient for reasonable travel expenses incurred in attending the award ceremony and giving the talk. Since there is no cash award, there will be no prize fund. The SI(AG)2 Chair and the Chair of the Prize Committee will announce the award at the SIAM Conference on Applied Algebraic Geometry and present the award to the recipient. An announcement of the award will appear in SIAM News, on the SI(AG)2 website, and in the SI(AG)2 Newsletter. This page was last modified 14:23, 10 June 2018.